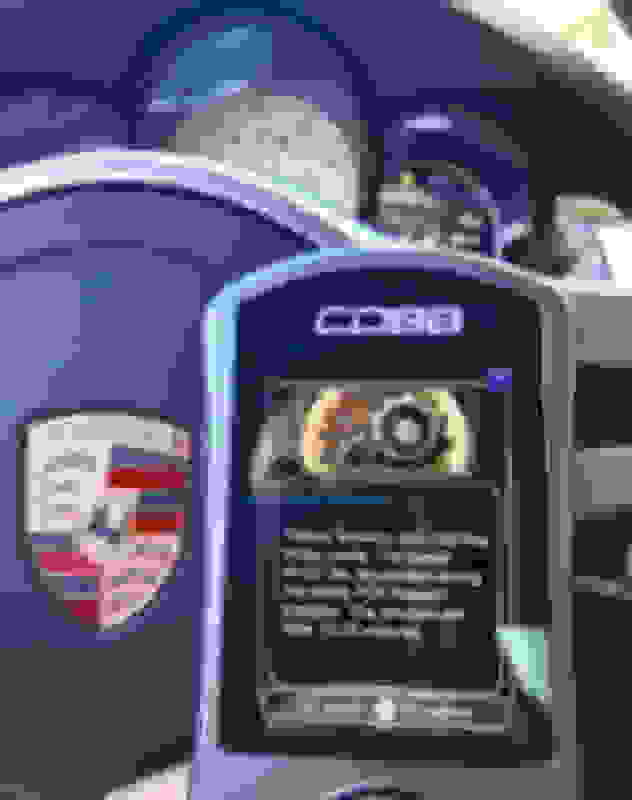 Cobb 997.2 PDK Tuning is Up and Running Ya'll! You all waited patiently. The team at Cobb have worked very hard to get this done before the end of the year and it's ready! It's been a pleasure to be a part of the Porsche PDK testing for both hardware and software in the 991 and 997.2. All I can tell you all is that it's pretty awesome! Full details will be up soon. Enjoy faster, firmer shifts...Higher rpm and shift points...Better paddle response and more capacity without slip and much more including clutch re-learn to calibrate for optimal feel and performance while increasing longevity! Some fast and fun cars are about to become faster and funner! Feel free to reach out for any help/support and to get it set up on your AP all via email! The Porsche team here at COBB Tuning is extremely excited to announce the newest development of our Accessport for Porsche product line. PDK Tuning is now available for all currently supported 997.2 Turbo or Turbo S vehicles. 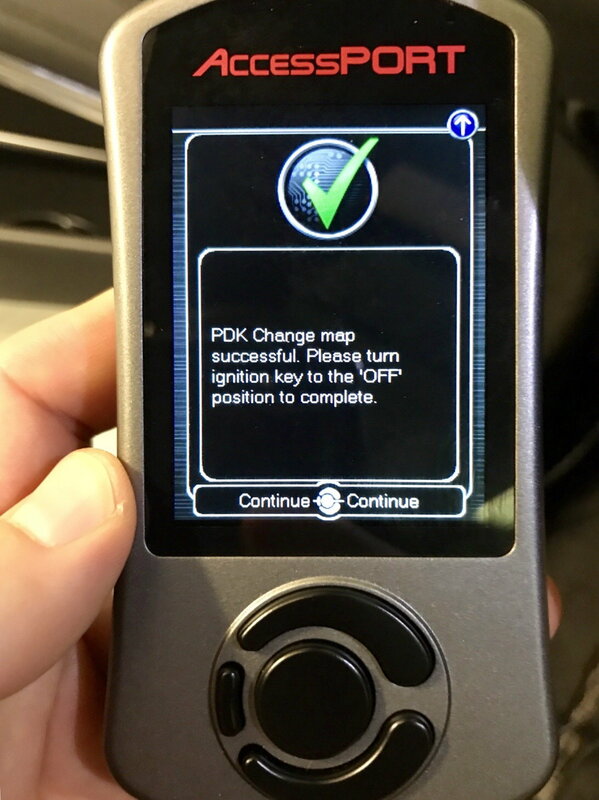 Similar to our initial PDK Tuning release for 991.1 and 981 vehicles, this release offers users the ability to flash the factory PDK controller with COBB optimized Off The Shelf Map files. Accessports with PDK Flashing enabled will have a variety of Off The Shelf Maps pre-loaded. Choose the best map for your driving style or switch to a more aggressive map for spirited driving sessions or your next HPDE. 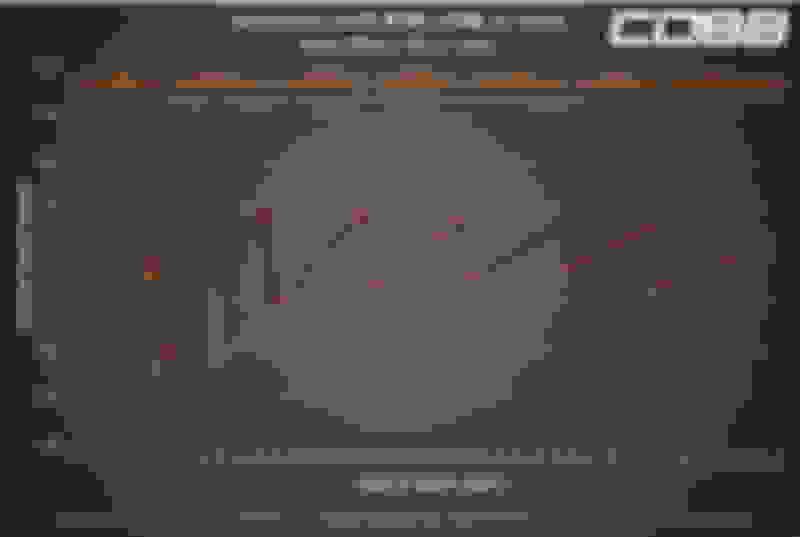 All OTS maps provided are designed to be used on an otherwise stock PDK transmission. Cars with upgraded clutch packs will require custom tuning which will be available with a future Accesstuner Pro release. 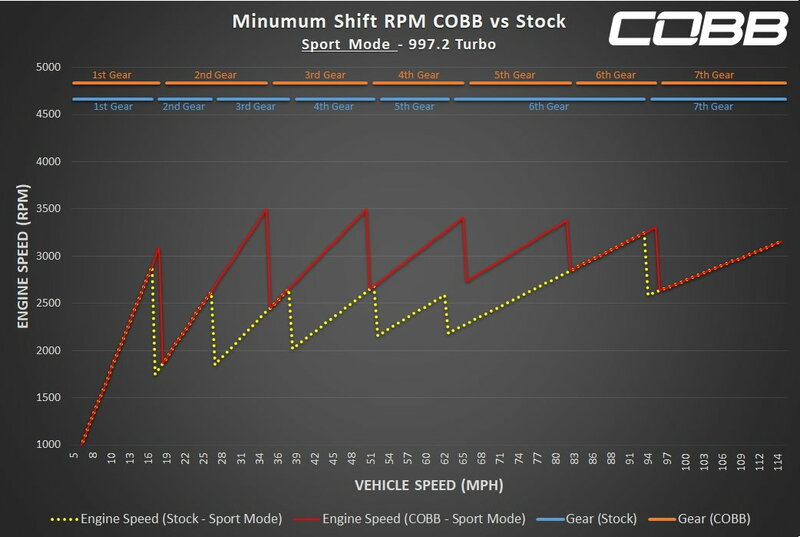 COBB Sport, COBB Aggressive, and COBB High Torque Aggressive will offer the features below. For all details please visit the PDK Map Notes Page. Below are examples of shifting behavior when utilizing the COBB PDK OTS Maps and driving the car in Normal and Sport Modes. 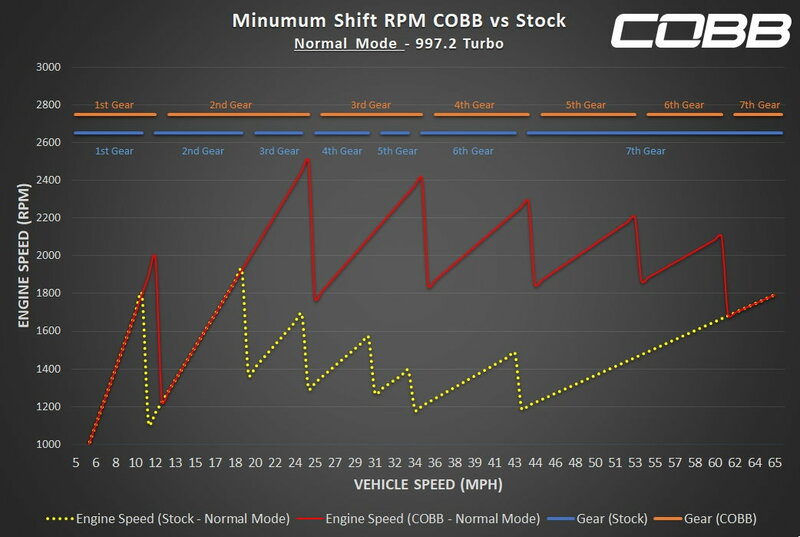 As you can see, the COBB PDK maps hold gears to a slightly higher RPM so the car remains in the meat of the power band for a bit longer. 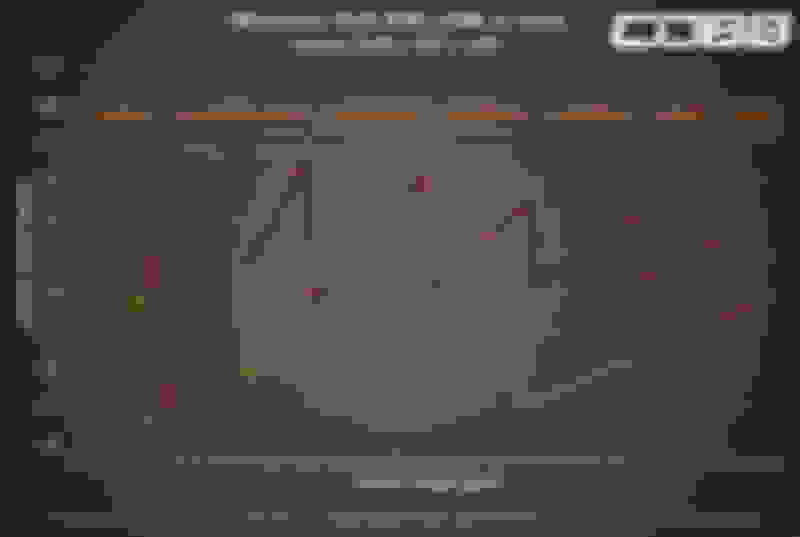 When utilizing Sport Mode the minimum RPM is bumped a bit further, represented in the graph below. Can this be used on a car that does not run COBB engine tuning? Currently it's being sold as a complete unit but you can install the TCU portion only with all the different settings. You would have a higher redline but one way or another myself or Tom could help you sort that out perhaps. Woohoo, I love my PDK tune, completely transformed the car! What? No post it reenactment? How long have you had it? Are there any tidbits you can share specifically that haven’t been provided? I would love to hear more details. It seems kind of expensive after one has already purchased the AP and a pro tune. I thought the upgrade for the other pdk models was less? I'm interested. This unit is just for the PDK, or will it also tune the engine? Nice work on the transmission. The PDK cars are just going to get faster and faster now. I don't think I saw it listed...do you have a launch control RPM controller in there was as well so a tuner can customize the launch control? Just curious. Also, I know it's an aged platform and there is probably very little interest in modifying it, but anything from Cobb on the Tiptronic transmission? I have your Accessport for my 997.1TT and love the OTS tune. It would be great if I could get the transmission flashed for the Tiptronic as well. Thanks guys. Yes for now it's sold as an add-on or as a pairing. You can install either one or both though. We have played with different launch settings. 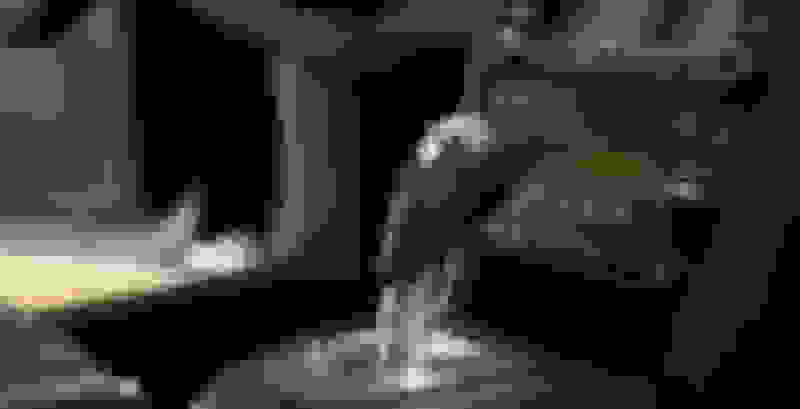 It is set-up for optimal performance. Launch boost can be manipulated though. No plans for AP Tip tuning at the time but I do have it available if I can be of any help here. +1 - I’ve never heard a PDK referenced as a slush box- interested in knowing from those who have tested / purchased. PDK tuning also enables the stock clutches to hold more power when set to that map, but that is not a benefit for everyone. Quick Reply: Cobb 997.2 PDK Tuning is Up and Running Ya'll!